In this Oct. 2, 2018, file photo, semi-automatic rifles fill a wall at a gun shop in Lynnwood, Wash. 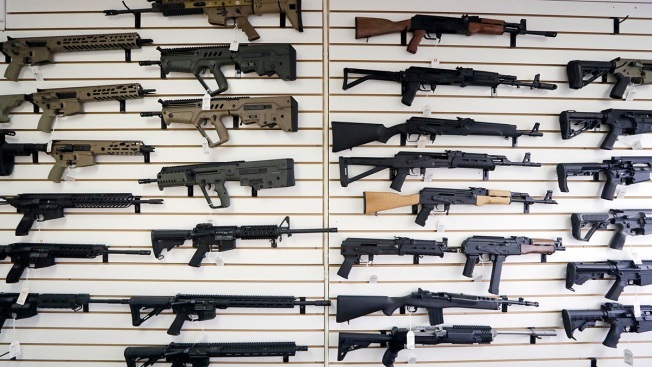 Starting Jan. 1, 2019, no one under the age of 21 in Washington state will be allowed to purchase a "semi-automatic assault rifle," under a voter-approved initiative that passed in November. Washington on Tuesday joined a handful of other states that ban anyone under 21 from buying a semi-automatic assault rifle after voters passed a sweeping firearms measure in November that has drawn a court challenge from gun-rights advocates.